We hire roulette tables throughout the UK and Europe, our roulette tables are the best quality and have been used at some of the most prestigious London venues. The roulette table hire is the centrepiece of the casino. Everyone loves the sight of the full sized roulette wheel and the fun of the game. The ”roulette table hire” is great at theme parties from the ‘Las Vegas’ theme night to the ‘Casino Royale’ theme night and always great fun to play and watch. Our experienced friendly croupiers will explain the rules to any new players and the great thing with the fun casino hire is that you can play all the games without the risk of actually losing any money. With the roulette table hire, you have your chips, you can bet on various sections of the table, on colours, high / low numbers and odd / even numbers, then you can bet on sections of the table in thirds – either blocks or columns. Finally if you are feeling lady luck is with you at the roulette table you can bet on specific numbers and groups of numbers – it really is that simple. For a mobile casino the roulette hire is a must for your casino nights. Hire fun casino games and make your event a scene from Vegas. 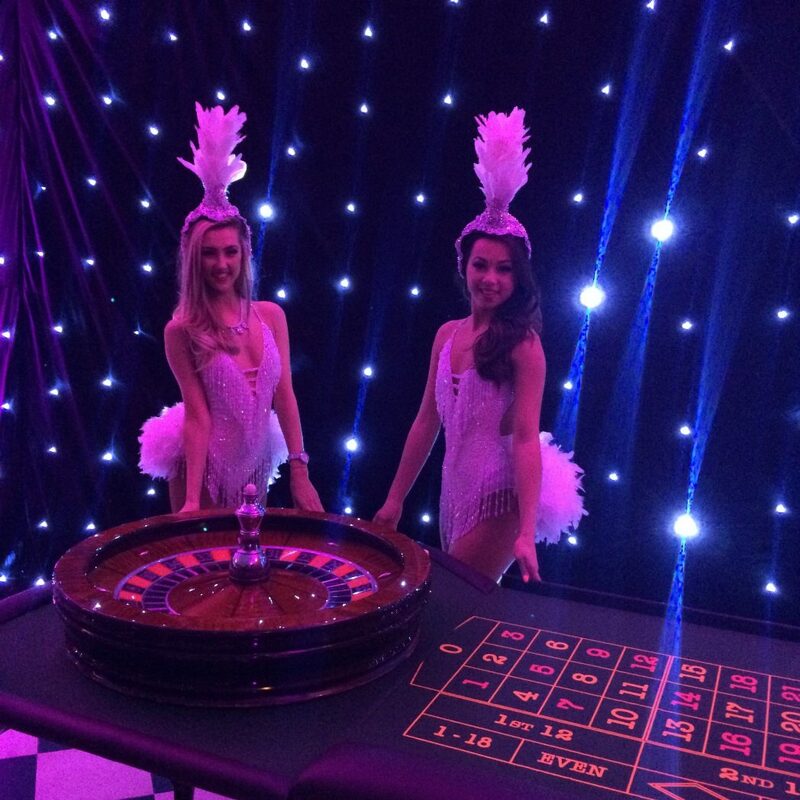 The fun casino table hire is available throughout the UK. Our roulette table for hire is the best in the UK. We hire roulette tables all over Europe. Roulette table hire is great fun. Obviously the more unlikely your bet the more chips you will win at the roulette table. Failing that, just pick your house number, and birthdays and hope for the best. The roulette tables are great fun when booked with other fun casino tables and we have the full section, the most popular combination is the roulette table and the blackjack table. We also have all the fun casino props and signs available for hire. Roulette table hire is great as part of your fun casino night.